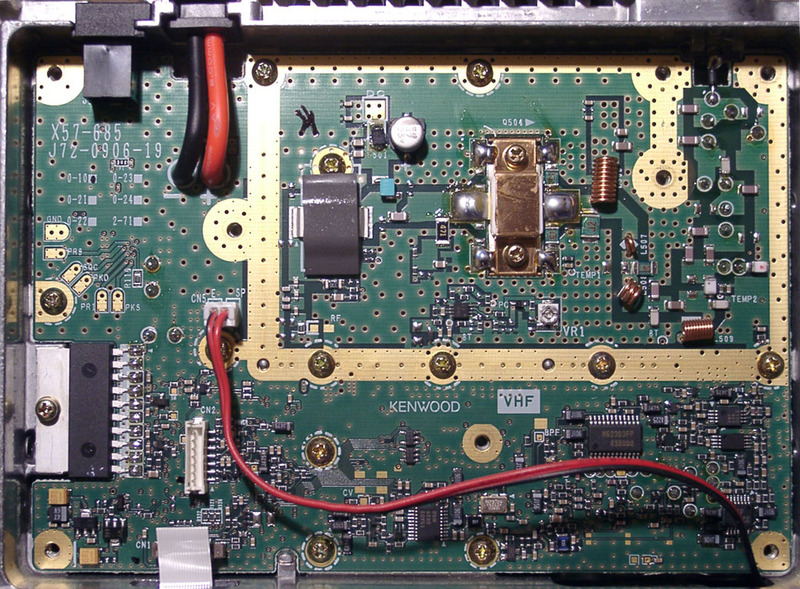 This site is devoted to my assorted ham radio and electronics projects and such. The OpenTracker is an APRS tracker, originally intended as a demonstration platform for the OpenTRAC protocol, has evolved into a much larger project and a full-time business. The OpenTRAC project is an effort I am leading to develop a protocol to replace the APRS™ on-air protocol commonly used for automatic vehicle location, weather reporting, and text messaging. The High Altitude Balloon Project launched November 11th, 2006. Some time ago I picked up a Kenwood TM-271A 2-meter mobile. Great rig, but the American version doesn't come with the packet data connector. Fortunately that's easy enough to fix. You can open the rig by removing the plastic cover, the rubber gasket, and eight screws from the top. 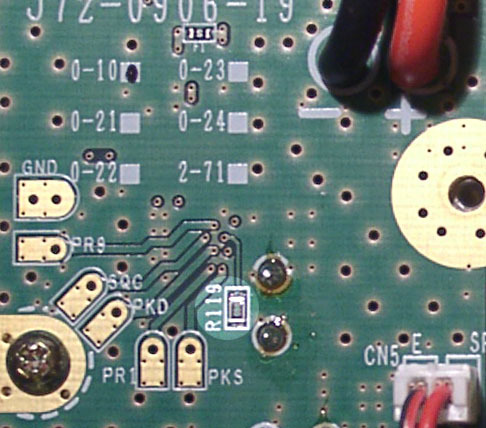 The pads for the packet connections are clearly visible on the left side of the board. I hot-glued the wires after soldering to reduce stress on the joints if the cable's wiggled around, and I put a small cable tie on the cable just inside the notch in the case to keep it from getting yanked out accidentally. The wiring diagram for the connector is shown in the manual. Incidentally, removing that 0-ohm jumper marked in the first picture will enable transmitting outside of the ham bands.